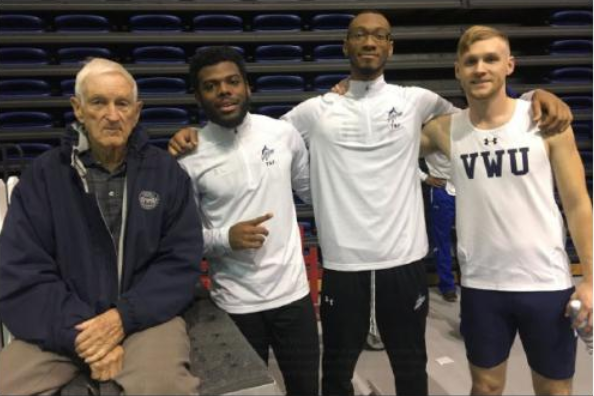 With 10 years of coaching at Virginia Wesleyan, 69 years of coaching in total and 91-and-a-half years of age, current assistant track coach Richard Drake has spent three-fourths of his life on the track and is not slowing down. “He has high energy, to the point where I have to hold him back, when he gets frustrated. Some days he will end up in his khakis and Doc Martens trying to demonstrate the way he wants the drill to be done,” head coach Mat Littleton said. Before coaching, Drake ran track at the College of William & Mary. He started coaching at the high school level at South Norfolk, Granby and Maury. He coached six Virginia High School League (VHSL) hurdle champions at Granby and another at Maury. 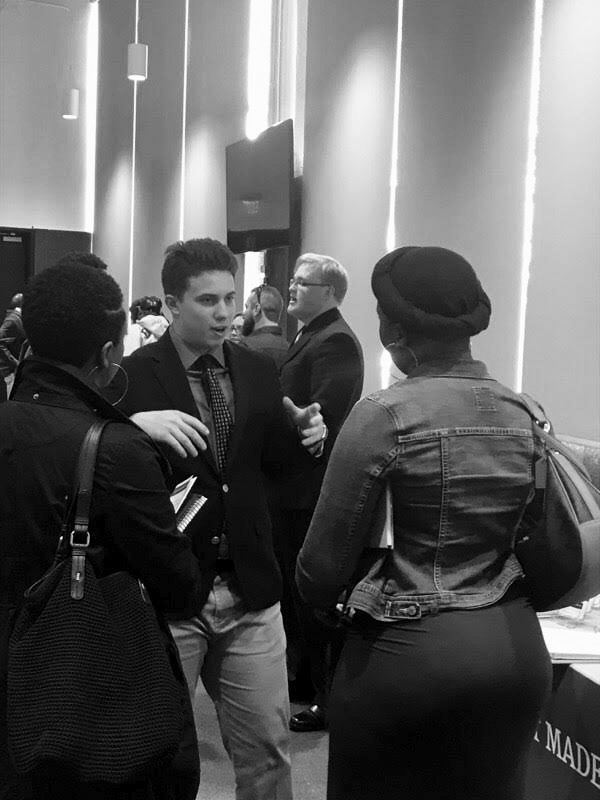 Adding to his resume, he also mentored Latasha Colander, an Olympic gold medalist in the 4×400-meter relay at the 2000 Summer Olympics in Sydney. He says one of his most memorable moments was that phone call home from Sydney, Australia when she told him she won the medal. Colander is a former student of Wilson High School in Portsmouth. In her high school years, she was a five-time VHSL hurdles champion and named the National Track Athlete of the Year. In her collegiate years at the University of North Carolina, she won the National Championship in the women’s 100-meter and 400-meter dashes, set the world record for the 4×200-meter relay and earned All-American status. Colander was inducted into the Virginia Sports Hall of Fame in 2014. In 1995, Drake began to coach at the collegiate level at Christopher Newport University. As an assistant track coach, he helped his athletes earn accolades such as six National Championships, two Division III records and three Division III National Athletes of the Year. Drake began coaching under head coach Mat Littleton at Virginia Wesleyan in 2008. After 10 years of coaching together, Littleton had nothing but praise for his assistant coach. “He’s somebody that commands a lot of respect…He’s got a great sense of humor. I’m just always learning from him, he always keeps it interesting,” Littleton said. Drake learned discipline, structure and leadership from his time in the military. He was stationed in the South Pacific in World War II as a Navy sailor. Not only is he a veteran and a coach, but he is also a farmer who tends land on Knotts Island. In his tenth year of being a Marlin family member, Drake has become a vital part of the track and field program. Even with coaching experience at other universities, Drake still has high praise of VWU. “It’s what the coaches and athletes accomplish with the budget and resources they have. Also, it’s the entire athletics staff, it’s rare to find an athletic staff so tight knit,” Drake said.